Cedar School had its modest beginnings in 1987 when three couples set out to find an alternative form of education for their young children. Starting off as a private tutoring group accommodating fewer than twelve children, the school was housed in a breezy building with a large yard at Meyers on Tortola’s Ridge Road. Calling it the Rainbow School, they hired one teacher to instruct students in what was reminiscent of an old-fashioned one-room schoolhouse. In 1989, the parents of the Rainbow School got together with the Parents Tutorial Group, which provided private schooling for a small group of students ranging in age from 11 to 14. By developing a school that would provide small classes and an innovative and high quality curriculum, the two groups hoped to transform their educational philosophy into a creative learning environment. 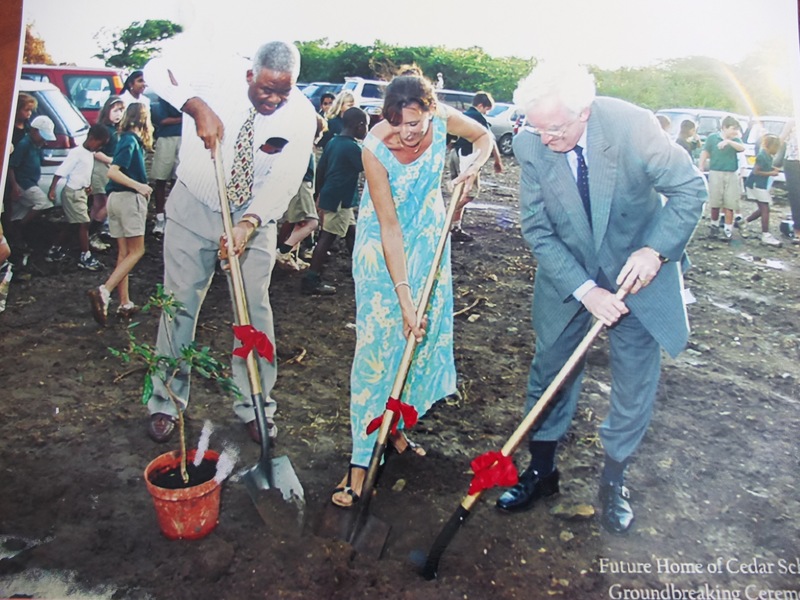 Because there was no private high school in the BVI, the school also hoped to provide university preparatory education open to all island children—BVIslanders, belongers and expatriates—from pre-kindergarten through high school. The two groups formed a Board of Trustees comprised of parents and prominent community members including Audley Maduro, Gerard Farara, and the late Henry Creque. 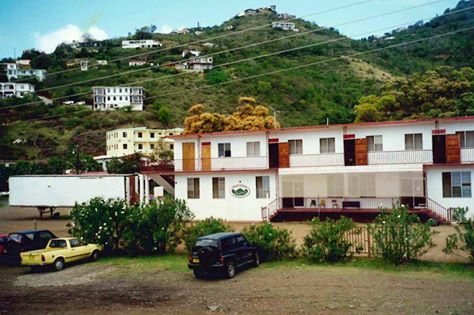 They named this new educational endeavour Cedar School and applied to the BVI Government for a School License, which was granted in 1990. They hired a principal and expanded the premises at Meyers by building additional classrooms. With the help of a core of active parents and a dedicated staff, the school continued to grow rapidly. In mid-1993, the school took over the premises of the Pasea Kindergarten, adding a second campus and 20 additional students. The primary and secondary divisions also continued to grow. By the end of the 1993 school year, Cedar had outgrown its premises at Meyers and leased the first floor of a former supermarket building in Baugher’s Bay, which was renovated into classrooms and offices. In 1996, the school rented the entire second story of the building in order to accommodate additional classrooms and spaces for a computer lab, library, and science lab. Additional playground space was leased and equipment installed. In 1994, the Board of Trustees decided to seek accreditation and commenced that process with the Middle States Association of Colleges and Schools, based in the United States. Middle States accredits schools worldwide. As part of the accreditation process, the School embarked on strategic planning, a process which is ongoing. Through the strategic planning process, stakeholders in the school community –parents, staff and students—continue to define and refine the vision for Cedar School. As the members of the school community defined the school they wanted Cedar to become, they dared to dream of an international school, educating a multi-cultural community, offering an excellent academic university preparatory programme, in a facility designed to provide an environment conducive to innovative teaching and passionate learning. As the school grew, it became clear that both growth and academic programmes were hindered by the facilities and that larger premises with more comprehensive facilities were needed. In the mid 1990’s, a group of trustees began to explore the feasibility of buying land and constructing a purpose-built facility. 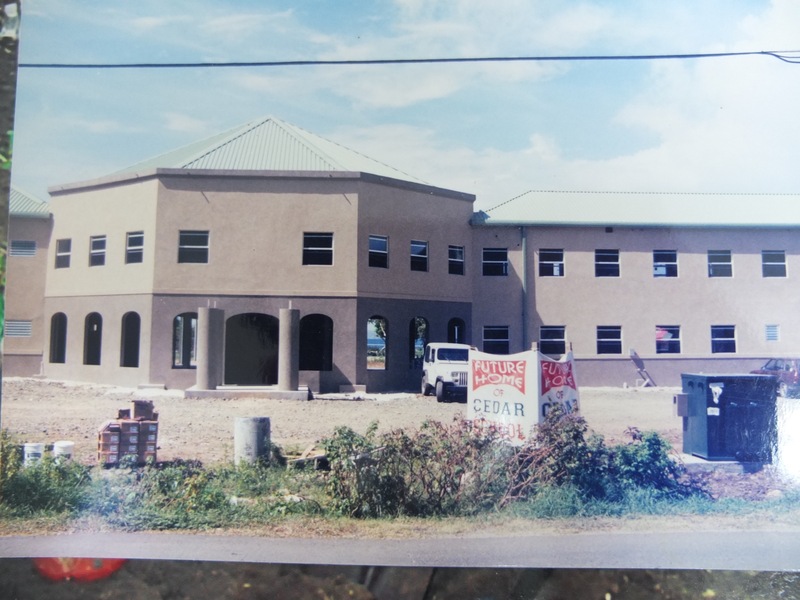 In 1998, the Board of Trustees commenced a capital campaign so that land could be acquired in Kingstown and financing could be arranged to build a brand new facility. In January 2001, construction began on the 17,000 square foot facility. In September of that same year, the new building opened for school. The Kingstown campus has been home to Cedar ever since and continues to develop each year. With 21 classrooms, including dedicated science labs, library, art room, music room, athletic pitch, outdoor performance stage, playground facilities, and a centre for learning support, the school now serves a student population of over 240 students ranging from age 4 to 18, and employs 50 faculty and staff. In 2013, anticipating the need for more space, the school acquired an additional acre of land in the Kingstown area, proximate to campus and with water frontage. The land, currently undeveloped, holds great potential for the next phase of Cedar growth. While the facility was evolving, the school’s programs were undergoing similar growth. In 2005, Cedar School was granted membership in the Council of International Schools (CIS) and began an intensive 18-month self-study for accreditation by CIS and for renewal of accreditation by the Middle States Association of Colleges and Schools. A joint accreditation team visited Cedar in May 2007, and the school was awarded both CIS and Middles States accreditation in August 2007. During the same period, the school began to explore implementation of the International Baccalaureate (IB) Programmes—the Primary Years Programme (PYP), the Middle Years Programme (MYP) and the Diploma Programme (DP)—school wide. In February 2008 the International Baccalaureate approved Cedar as an IB World School, fully authorised to offer the DP. Cedar School also underwent a name change in February when the Board of Trustees officially changed its name to Cedar International School to reflect the diversity of the school community and in light of the successful efforts to gain accreditation and recognition through both the Council of International Schools and the International Baccalaureate. Cedar International School was then awarded authorisation to teach the Middle Years Programme in 2008 and the Primary Years Programme in 2010. Today, Cedar remains one of only 236 schools worldwide to be authorised to teach the full IB continuum—PYP, MYP, and DP. With a strong academic foundation in place, Cedar has in recent years focused on adding programmes that enhance the robust co-curricular experience of its students. Since 2013, Cedar has added a Travel and Experiential Education programme, an Elective Course programme, a formalised University Advising programme, and a Spanish Exchange programme to its secondary offerings. It has brought increased focus to its Sports and Arts programmes school-wide. Significantly, it also enhanced its services for students with diverse learning needs, launching its Solution Studio in 2013, which has greatly improved the school’s ability to serve and challenge every student. Cedar is a school that values its history, while keeping its eyes firmly on the future. As such, it is a school that does not stand still. As the years continue, Cedar looks forward to working with all members of the school community in developing and implementing programmes that enhance the experience of our diverse student population.